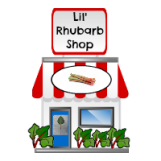 For other recipe ideas for rhubarb in the crockpot or slow cooker, scroll down towards the bottom of the page. 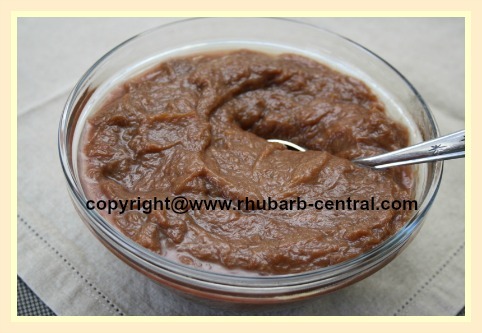 Yummy Rhubarb Sauce Made in the Crockpot ... Ready When You Are! 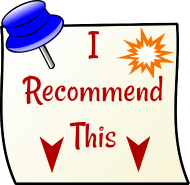 Although I usually like to make my rhubarb sauce or stew on the stove-top, or make microwave rhubarb sauce, I sometimes like to make it in the crockpot or the slow cooker. 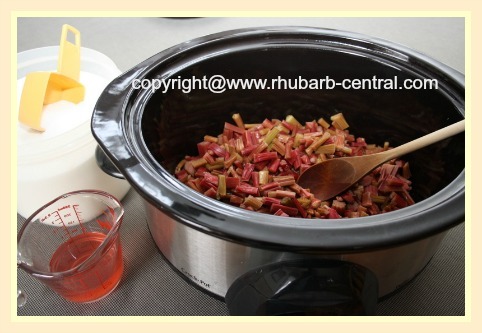 Here follows two recipes for making rhubarb stew or sauce/compote in the crockpot, the first recipe is a basic stewing recipe, and the second recipe includes tapioca. 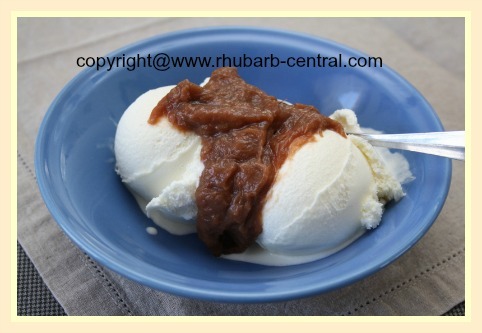 You can use fresh or frozen rhubarb for these recipes! 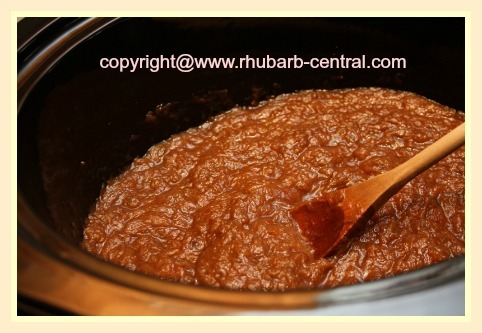 If using frozen rhubarb, thaw it the evening before, on the kitchen counter, in a sieve, over a bowl, and discard all except for *1/2 cup of the liquid. 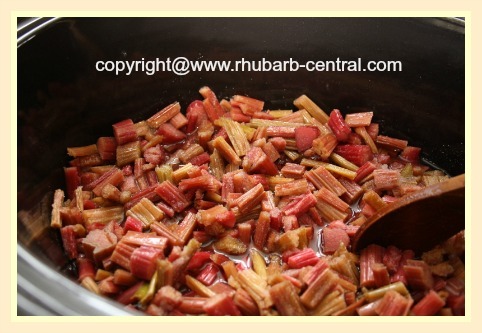 Place the chopped rhubarb, sugar and the water in the crockpot. Cover, and cook on low for about 3 - 5 hours. Remove the cover, turn off the heat, and stir in the butter and the vanilla extract. Serve warm over ice cream, pudding or yogurt, or chill and serve as a side to any meal or use in a recipe. Combine all the above ingredients in the crockpot or the slowcooker. Cover, and cook on low for 3 - 5 hours. 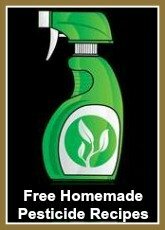 Remove the cover, turn off the heat, and stir.